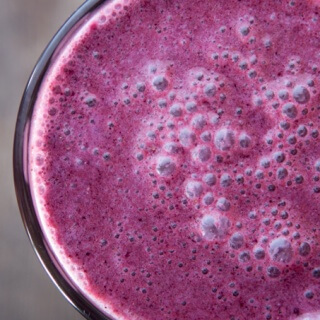 This Protein smoothie is incredibly creamy and filling. Feel confident to adapt this recipe to your personal tastes or dietary needs, using whatever fruits you have available to you. This recipe is flexible and has a number of different adaptations. Loved the flavours. Also if you don’t have coconut milk handy, keep in mind it is essentially just a diluted version of coconut cream (just dilute it with some water or milk). Really nice flavours. I used mulberries as I didn’t have blueberries. I tried this for the first time this morning & all I can say is “yum”, it’s so creamy and fresh. Will definitely be adding this to my breakfast routine. Thank you for a great recipe. 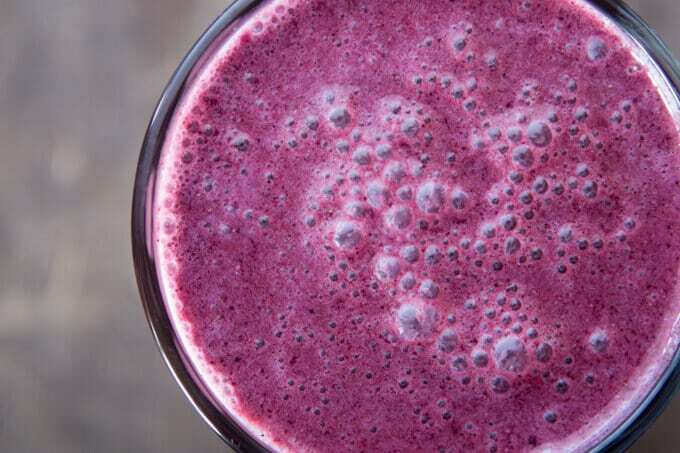 Such a great smoothie. I make it the night before and leave it in the fridge (we leave early & live in an apartment so it’s too loud to make in the morning). It’s amazing. Hubby gets upset if he doesn’t have a smoothie for his drive to work.